If you have wide feet then these boots will be very comfortable with the large toe box that is common to the Keen brand. The heel is a little loose but not bothersome when walking. They are a bit high on the ankles which I and many other people have found the top lace up buckle rubs against your shin, which gets painfully sore. The answer I found is to not lace them up all the way, which takes away some of the high ankle support. Once I figured out not to lace them up fully, I was able wear them all day long. These boots are warmer than most similar waterproof hiking boots and if you find the heat effects you they are not very suitable as your feet displace a lot of heat to regulate your core temperature. I found the waterproof membrane to function well but other brands will out perform this boot, staying dryer for longer. The grip on the boot looks to be aggressive however the opposite is found. In muddy conditions wether it be black soil, clay and the like they do not stop you sliding and if you are required to descend in a side way motion on the steeper sections of the trail it becomes almost dangerously so. 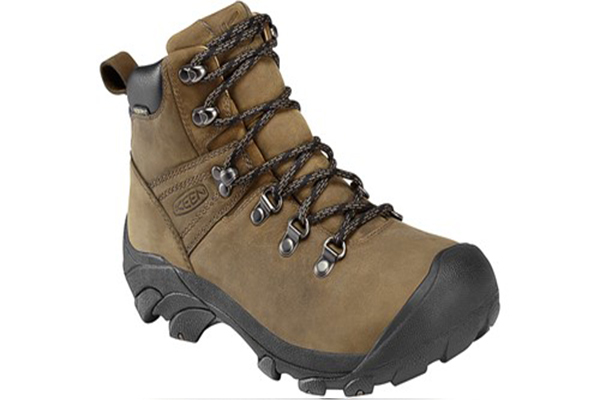 They are a light hiking shoe and very durable but the cons out weigh the positive for this boot.